So I was giving myself my daily dose of self-destructive behavior by checking up on all our favorite boys via Tumblr. Sigh. Safe to say, I’m having withdrawls. S & I went to the Wheeling Nailers game 2 weeks ago … and that was fun. But not fun enough. 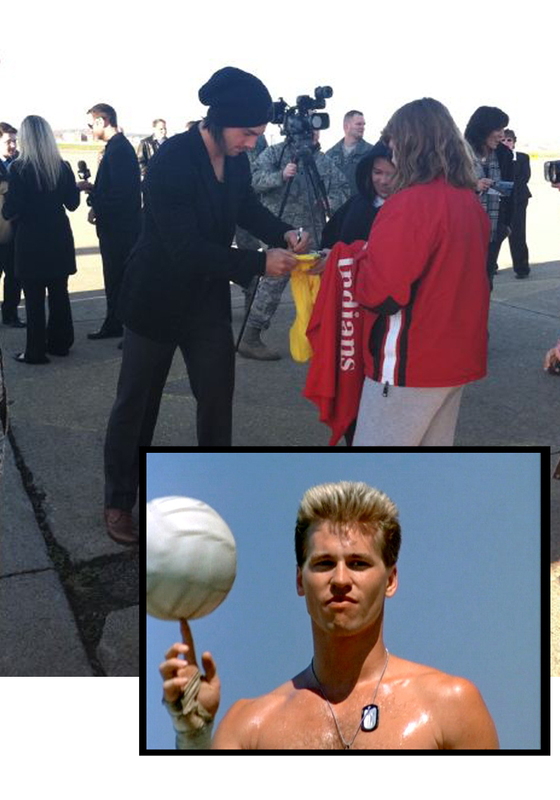 Yeah — we saw potential…and even a Scotty Hartnell look-a-like, but it was nothing compared to our boys. Then, I went to the BU game last night… and thats always fun. But still just not the same. So when I saw this picture, my heart melted. I miss you Geno. He’s got some weird obsession with animals. But thats why I love him. I’m praying this all ends soon. And yes, I’m hopeful… sort of. It’s All Star voting time! S & I have already cast our FIRST ballots many times. Look at S' star studded line up! Pretty sure we’ll be entering under different email addresses to double (possibly triple) our chances of winning a trip to Ottawa for the game. So ladies & gents. It’s time. [Click here] and go vote for your favorite players to go to Ottawa this year. Mark your calendars for January 28th & 29th. If I knew more people who liked hockey, I would totally stage a road trip. 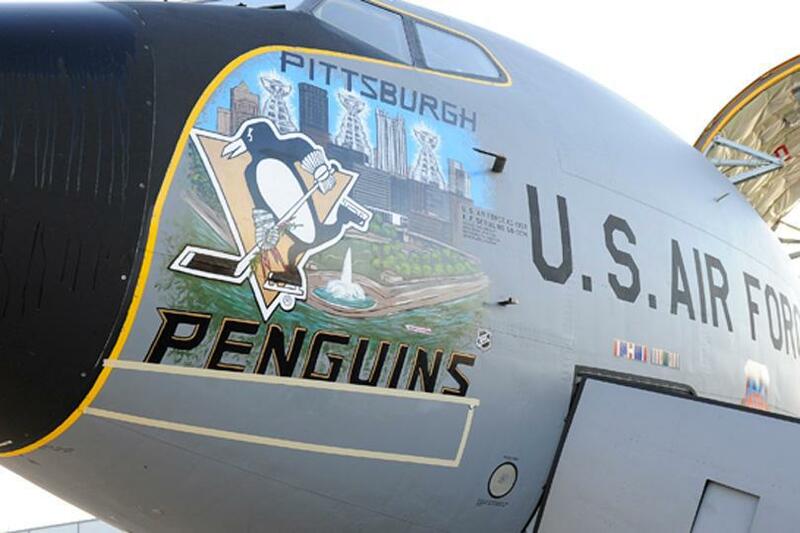 Afterall, Ottawa is only 7 hours away…. 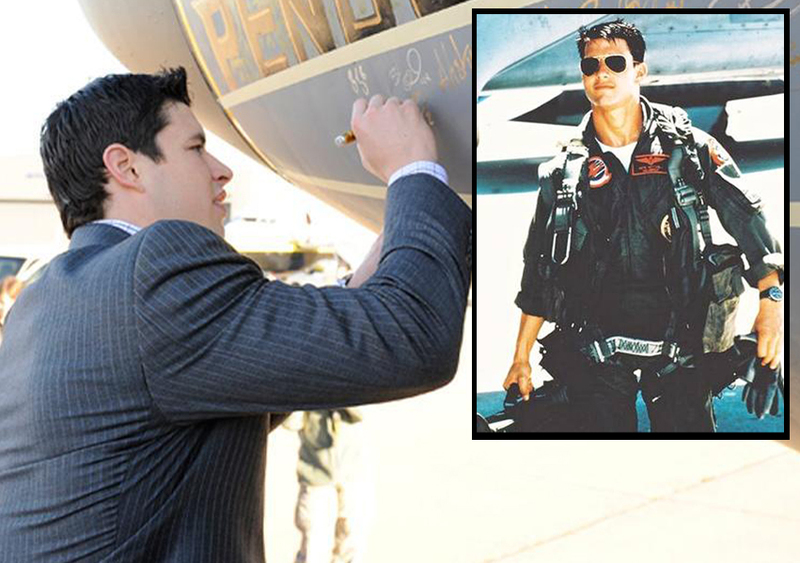 Now, is it just me…or are there some similarities between the Pittsburgh Penguins and the Top Gun movie?? Stay with me guys, I’m going somewhere with this…I promise. How’s this one?! Even better right?! L says to Ice Man: "I don't like you because you're dangerous." I’ll admit that Letang looks like he could be one of the coldest guys on the face of the earth–so it seems fitting. 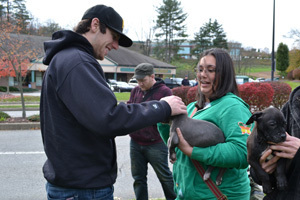 Honestly, we’re not sure which is more adorable….Malkin or the puppies…or how about both?? 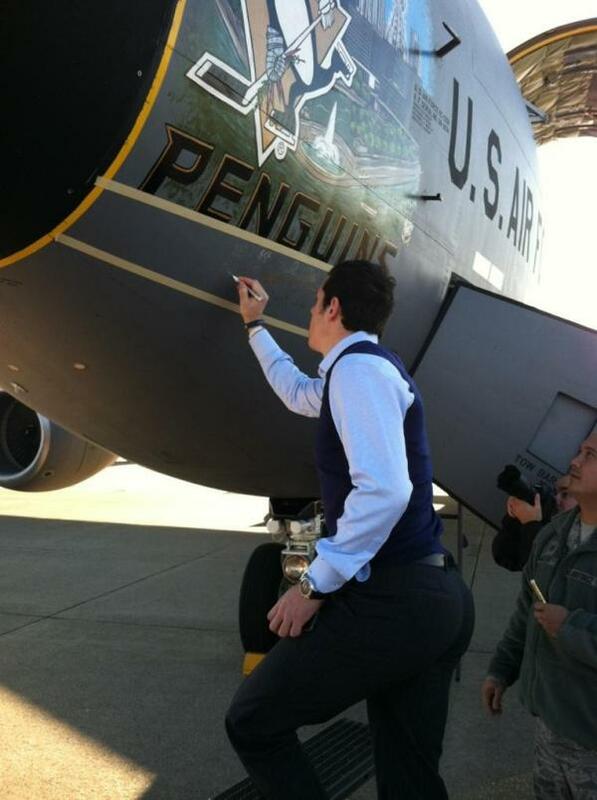 Seriously, I’m running out of reasons not to put Geno on my “must-have” list. Both puppies just look so content in his arms…it makes me melt. If I could come home from work every day and see him sitting on my couch holding a puppy—my life would be complete. Really…I can’t take it anymore. I will admit, it has taken me a little while to warm up to Geno. At first, I wasn’t sure what everyone loved so much. More and more, I’m beginning to understand. 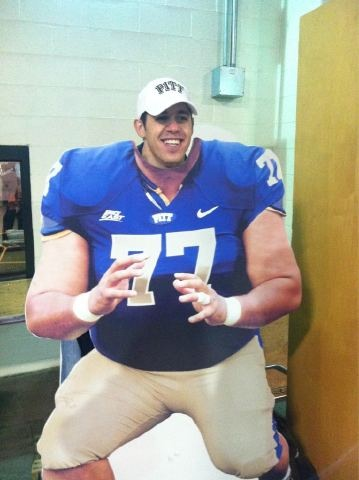 It’s been a few busy days for me but when S told me Geno had been at the Pitt game, I didn’t think much of it. Then I check Tumblr (frickin’ love that thing) and I see this. I think it’s safe to say, I’m beginning to love Geno. Away from the computer for ONE day …and I miss everything. Sid. Flower. Geno. JStaal. Tanger. Poor Flower. He actually thought that fans wanted to run him over with their cars after last season’s start! Absolutely not. Pens fans had faith in you the whole time, Flower. Sidney made the mistake of picking on my man. 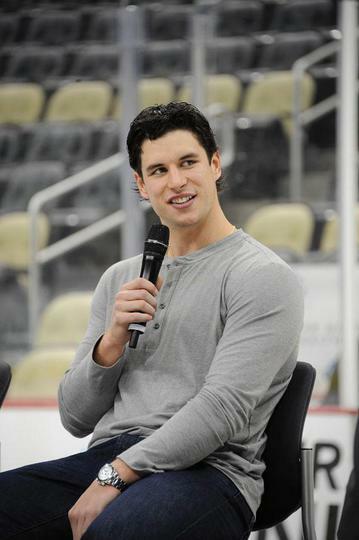 Yup, he says Tanger’s workout videos are “fake”. HA! But don’t worry girls, Kris was quick to reply. “You wish you could work out like that…” <3 LOVE THIS BOY <3 Something has changed in him this off season. He’s not so shy anymore….anyone else see it too? Now let’s get to S’ boy. 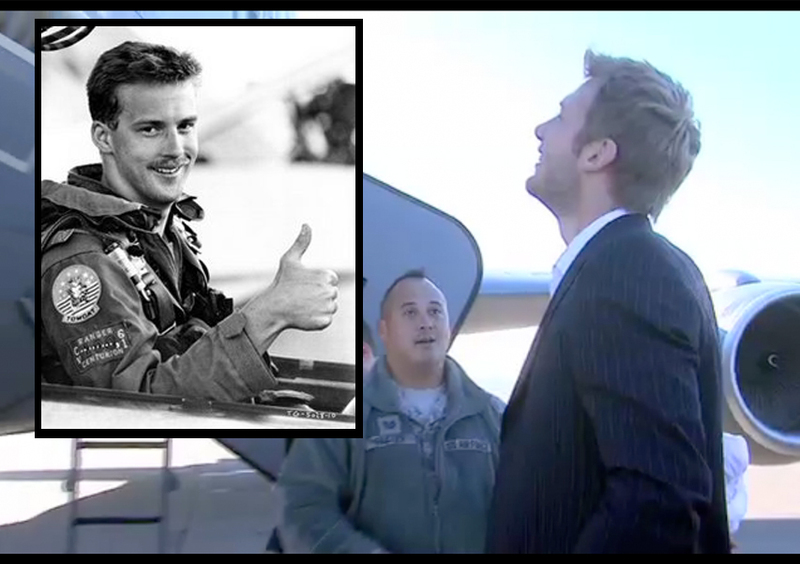 JSTAAAAAAAL..
My instant reaction was: He would be S’ husband. S would be the perfect wife taking care of her farmer boy. 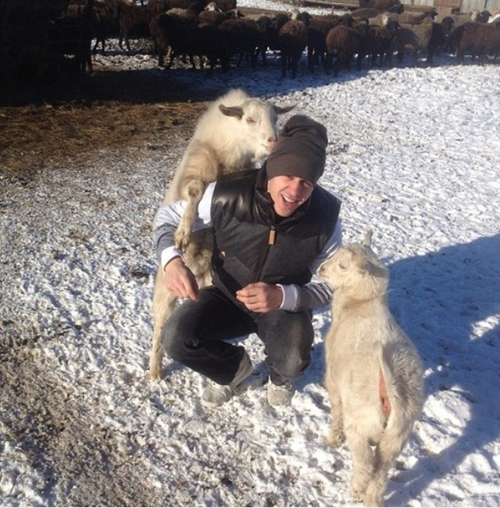 They would be living in Thunder Bay on the Sod Farm conceiving tons of little blonde (curly-haired) Gronk’s. AKA– building their own hockey team. Well, I wasn’t so far off from his answer. Ok, fine…maybe I was way off…but at least being a Sod Farmer was mentioned. Girl can dream, eh S?! Anyway, I’m sure my little recap doesn’t even compare to watching the whole thing. Here you go guys, CLICK HERE TO WATCH!